My daughter is just 6 years old and yet she is facing a hard time. According to doctors, she is suffering from bilateral development dysplasia of hip. She requires sequental surgeries for both sides. Due to this she finds it very difficult to walk. The family belongs to Infant Mary Church, Bajjodi, and according to Father Shabas Crasta the parents of the child tried various treatment but found no improvement. A s she grows, her life looks to be in risk. Therefore those who diagnosed her suggested to go for surgery at the earliest and make the hip re-placement. So she was referred to KMC Manipal. 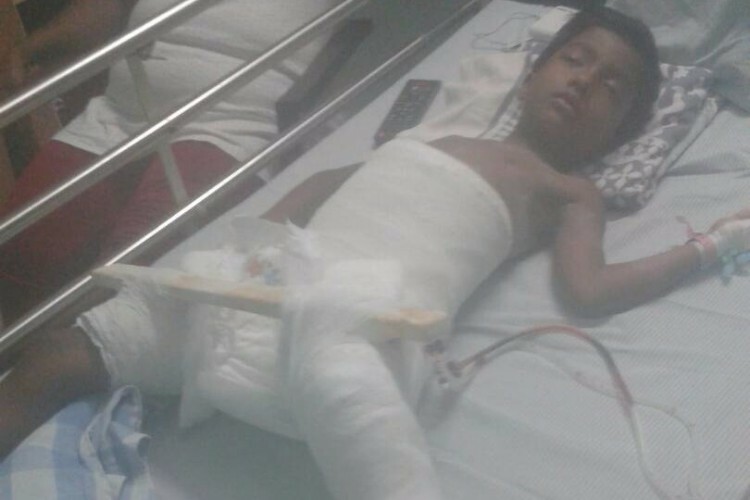 The surgery was supposed to be in May, but the expenses is more than Rs.5 lakhs, and the child's parents being poor couldn't meet the expenses and they need help from well wishers and any possible organizations. Thus the child may able to undergo the surgery at the earliest and get a good future. Therefore I kindly request those who can come forward to assist this young girl. May God Bless you for being generous towards this cause. Please Share and Donate !! Your share could be as good as a donation for Janet laveena dsouza! Not everyone can afford to take care of their loved ones. Janet laveena dsouza's life can only be saved by donations made by kind people like you.